Manager Nigel Clough described himself as being ‘unbelievably disappointed’ following the two one home defeat on Saturday to Crewe Alexandra. Having fell behind to the early goal from Crewe, United reacted and largely dominated possession and chances, finally drawing level ten minutes after the second half restart through Holt, but in injury time threw the point away as Crewe got their noses back in front. A bitterly disappointed Clough told the Official Site at full time that quite clearly we hadn’t been at our best on the day despite the greater possession and chances on goal. Clough went on to say that Crewe were the better in the first half, had a few chances of their own and caught us on the break really as we were looking to try and stamp our authority on the opening period. With it not going for us on the day, one thing the gaffer knew he couldn’t do was fault the efforts of the players though as he knows they gave all they could, but it really was another of those games for us. With Clough’s words ahead of the game being largely relax, don’t add pressure and don’t believe that after two losses the promotion race was over, anymore than we were suddenly guaranteed to go up again – he’ll probably be reflective following this performance and showing but there are games left and the players have to make the most of them. 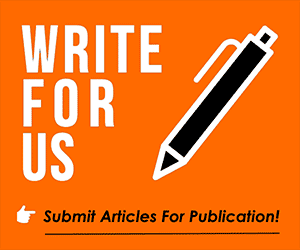 This site is looking for contributors or bloggers, so if you’re a fan that can offer us a genuine opinion we would love to share it with the masses!